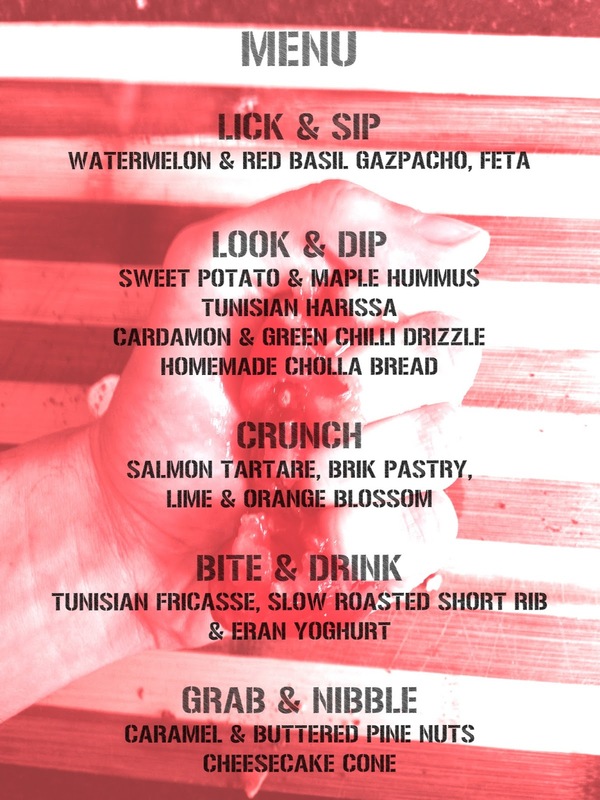 Chef Eran Tibi (Ottolenghi, Made in Camden) is back for two more nights of his Chef's Playground in early August, in the great Studio Gi space in Hackney. 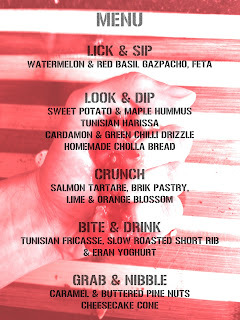 5 courses influenced by his Middle Eastern roots - see menu above - and the tickets are selling fast! Note - it's cash only at the bar on the night. This time around Chef’s Playground have asked Le Cordon Bleu chef, Eran Tibi (Ottolenghi, Made in Camden) to conceive a new menu worthy of the constantly evolving and versatile space at studio Gi. Tibi is a one man show in his own right. Expect big personality, a sense of theatre and beautiful execution. “Through HANDS ON we want to stimulate all the senses. It will be a noisy, vibrant and tasty couple of nights. We want everyone to get stuck in and have a good time” says Eran Tibi."